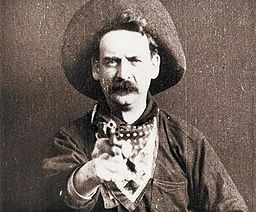 In 1903, staring in the Edison production of Edwin S. Porter’s The Great Train Robbery, Justus Barnes raised a six-shooter at audiences and fired the shot that began America’s love affair with the movie shootout. From that moment on, from Stagecoach to the Coens’ True Grit, from Hawks’ Scarface to De Palma’s Scarface; we just couldn’t get enough breathless, gun-blazing action. There were so many classic sequences to consider for this column: Travis Bickle’s rampage (Taxi Driver), Tony Montana and his little friend, last stand at the Victory Motel (L.A. Confidential), the motel suite Mexican standoff (True Romance), and on and on – The International, The Magnificent Seven, Children of Men, etc. If I’d allowed myself to cheat and split slot number five into a 2-way tie then I’d have included the heart-pounding showdown that culminates Leone’s magnum opus, The Good, The Bad, and The Ugly. But alas, I ruthlessly held it to five! If ever, dear readers, there was a list to debate; this is it. So please, chime in with your comments and tell me what I’ve overlooked. “Well, you don 't got to be Stonewall Jackson to know you don't want to fight in a basement.” Tarantino’s tavern shootout is audaciously, unapologetically brief - albeit breathtaking – and it stands as the final reveal (punchline?) to the greatest magic trick the maestro Quentin has yet displayed on film. Make no mistake, the La Louisianne sequences stands, thus far, as the directorial high water mark of Mr. Tarantino’s illustrious career. The less than one-minute barrage of bullets that closes it out is so impactful because it relieves the almost unbearable tension of the previous twenty minutes’ white-knuckle verbal sparring. “Well, if this is it, old boy, I hope you don't mind if I go out speaking the King's.” Bravo! Bravo! Before he was embraced by the Hollywood machine, given bigger budgets – i.e. studio oversight, thus forced to tone down his style (Hard Target, Broken Arrow) - Hong Kong action maestro John Woo, aided by leading man Chow Yun-Fat, burst onto the international cinema scene with his gun-in-each-hand, Peckinpah-inspired, slow-mo centric bullet ballets: A Better Tomorrow 1&2, The Killer, and the crème de la crème, Hard Boiled. 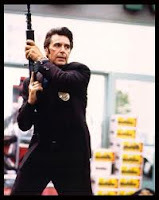 The Killer is likely more cherished by die-hard Woo fans, and I myself prefer the high sheen opulence of the “Over the Rainbow” sequence in Face/Off, but as shootouts go, for sheer over-the-top bravado, nothing in Woo’s oeuvre comes close to the climactic hospital showdown that comprises the last 20 or 30 minutes of Hard Boiled. It verges on action-scene overload, with a seemingly endless onslaught of faceless armed villains attacking the heroes, like Rice Krispies pouring forth from an oversized cereal box, but Woo manages to skirt the fine line between laughable, unbelievable absurdity and jaw-dropping theatrical grandeur. It’s a high-wire act of the highest order. No matter your opinion of the film as a whole, either bloated, overblown cops & robbers soap opera or precision genre masterpiece – I tend towards the latter – there’s no denying that Michael Mann’s bank-robbery-gone-wrong Downtown L.A. shootout is a stunner; a tense, terse, shattering piece of pure cinema. I remember seeing the film upon its initial release and all anyone could talk about exiting the theater was the nail-biting velocity of that sequence. Al Pacino’s Lt. Hanna and his Robbery/Homicide crew close in fast as De Niro, Kilmer, and Sizemore pile into their getaway car. Kilmer’s Chris Shiherlis spots the fuzz and lets loose the first high powered, fully automatic rounds in a set-piece that leaves Downtown L.A. in bullet-riddled, Swiss cheese tatters. Mann’s adherence to impeccably high standards, when it comes to conveying the impression of absolute realism, lends the scene an undeniable power. He captures both the pure adrenaline and pure fear of the moment. The danger of the situation and the ferocity of the violence on display is rendered gut-wrenchingly palpable. Homage? Tribute? Tip of the hat? Blatant rip-off? Call it what you will, but Brian De Palma - with the aid of ace cinematographer Stephen H. Burum, editors Bill Pankow and Gerald Greenberg, and Ennio Morricone’s score - takes his inspiration from the Odessa Steps sequence in Sergei Eisenstein’s The Battleship Potempkin and then proceeds to up the ante in every way possible to craft the most dazzling slow-motion action/suspense set-piece of all time! Sean Connery’s Jimmy Malone has just been perforated with lead from Capone enforcer Frank Nitti’s (Billy Drago) Tommy Gun. With his dying breath he tells Kevin Coster’s Elliot Ness what train Capone’s bookkeeper is skipping town on. 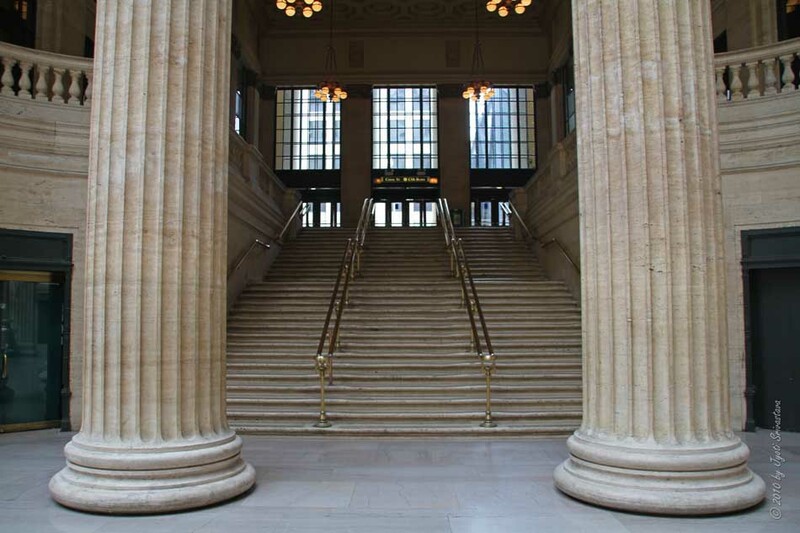 Ness and his remaining untouchable, George Stone (Andy Garcia), hightail it to Chicago’s Union Station to lie in wait. It’s a midnight rendezvous! Throw in a concerned mother making her way upstairs with luggage and a baby carriage, her crying infant, white-clad sailors on leave, and Capone goons galore – lock, load, and release… very slowly! I dare you to breathe. It is, withou t question, the great, great grandfather of the modern action set-piece. In a sense, every shootout from the summer of ’69 on pays homage to The Battle of Bloody Porch, and resides forever in its shadow. 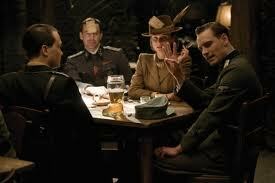 Can you think of a single more influential sequence in the history of modern cinema? 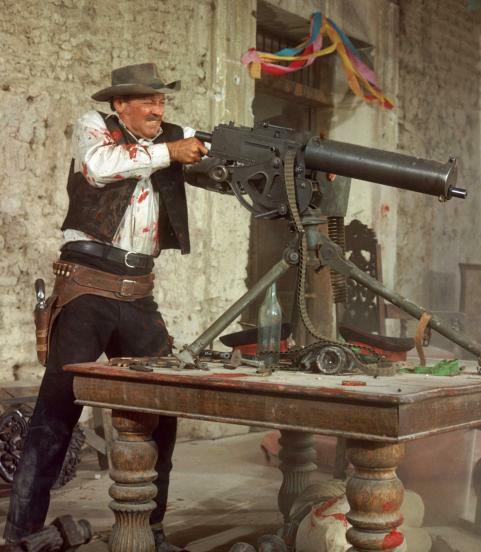 Sam Peckinpah’s The Wild Bunch simultaneously put the nail in the coffin of traditional western movie mythology and ushered in the post-Hays Code, a.k.a. The Motion Picture Production Code, era of Hollywood filmmaking. The rapid cutting style, courtesy of Lou Lombardo, combined with a revolutionary use of slow-motion photography to protract/accentuate the on-screen carnage, changed the way audiences related to cinematic violence by creating a new esthetic, a sort of hyper-reality. Peckinpah, who abhorred real life violence, and whose intentions were to disturb and disgust, gravely miscalculated the impact his new style would have. Instead of looking away in horror, audiences were mesmerized. The film's techniques rendered its violence hypnotically titillating. To this day we can’t get enough spewing, splattering, spraying gore. For better or worse, Bloody Sam, you left bloodstains on celluloid that will never be washed out. Great picks! Those are definitely worthy. If you could add more, I'd pick "Once Upon a Time in the West" but hey, no complaints with what you chose!